Microfiber products are a cleaning miracle. Microfiber effectively removes up to 99.4% of surface contaminants without the need for cleaning chemicals, making it a convenient, cost-effective, and healthy cleaning material. However, if you use microfiber products in your facility, your employees need to know how to properly clean with microfiber to ensure that they’re making the most of its benefits. In today’s blog, learn how microfiber products should be used in order to get the most from your microfiber mops and towels. Microfiber is a cleaning powerhouse, but it needs to be used correctly to maximize its benefits. Unlike cotton cloths which require detergents to loosen dirt, germs, and debris, microfiber cloths naturally remove particles thanks to their millions of tiny fibers which manually scrub surfaces. These fibers are incredibly effective at removing particles and although they can’t be seen without a microscope, they pack a powerful cleaning punch. 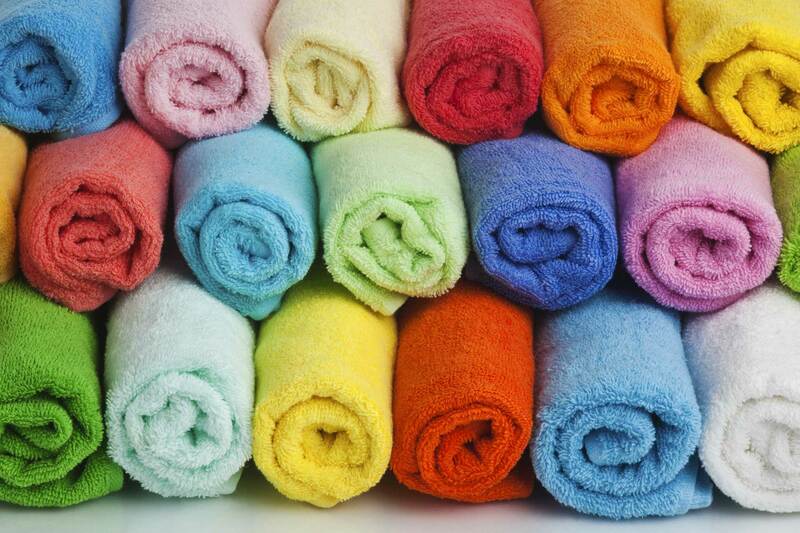 When it comes to microfiber, cloths should be used dry for dusting and wet for cleaning. When used for dusting, your cloth should be folded into quarters to maximize your cleaning surfaces. 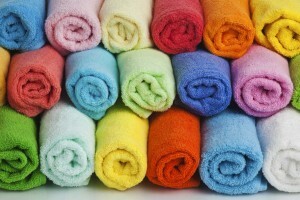 Once every area of the cloth has been used, it should be swapped out for a fresh microfiber towel. When used for cleaning, your microfiber towel or mop should be wrung out as much as possible in order to increase its absorbency and maximize its ability to pick up grime. When the cloth begins to appear dirty, simply rinse well with hot running water until the water runs clear and then the cloth or mop can be used again until your cleaning task is complete. By renting your microfiber products from Lord Baltimore Uniform, you’ll never have to worry about laundering your mops and towels or replacing worn out cloths. We’ll take care of all of that for you! For a truly effortless cleaning experience, microfiber mops and towels from Lord Baltimore simply cannot be beat. For over forty years, Lord Baltimore has provided the most reliable and cost effective microfiber towel and mop rental services up and down the East Coast, including Maryland, Washington DC, Northern Virginia, Southern Pennsylvania, and Delaware. We are an independently owned company and we are completely confident in our ability to provide you with service above and beyond rental industry standards. To learn more about how Uniform Rental and Custom Emblems can make your business more effective and economical, please contact Joe Bateman at Lord Baltimore by calling 800-292-1224 or visit LordBaltimoreUniform.com. We also handle towel rental for gyms and salons; apron, towels, uniforms and mats for restaurants; and uniform, shop towel, fender cover and mat rental for manufacturing and automotive industries. This entry was posted on Thursday, September 8th, 2016	at 3:34 pm	. You can follow any responses to this entry through the RSS 2.0	feed. Both comments and pings are currently closed.